Are you after birth chart astrology 11th house interpretations? If so, then you have come to the right place. The interpretations below can be used for both Western and Vedic (Kundali) astrology birth charts. 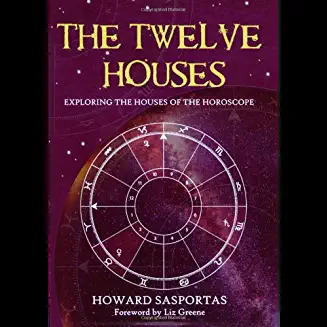 Location on birth chart wheel: It is house number 11. Vedic chart location: It is house number 11. You are a very social and popular person who often needs to be in the company of other people. Friends play a major role in your life, and it is through friends that many opportunities arise for you. Probably because some of your friends are powerful, and have the ability to help you achieve your goals. Being a group leader or spokesperson would probably come natural to you. For you it is important to feel a sense of belonging, to be a part of something. Maybe you achieve this by being a member of a group with the same interests as you. Alternatively, you may just like to have a close circle of friends. Whatever the case, you need people to support and encourage you. Even though you enjoy being in the company of others, you do not like large social gatherings. You probably have more female friends then male ones. You may have many wishes, dreams, and hopes for the future that offer your good heartedness to others. Deciding to stick with one particular goal can be difficult, as you frequently change your mind. The goals you set for your life are extremely influenced by the attitudes you learned while you were young. Do not become too set in your beliefs, as it could prevent you from taking advantage of opportunities later in life. You are very curious about people, especially ones that are clever and interesting. When learning, you prefer to be with others in a classroom or workshop, rather then just learning from a book. Because you work well within a group, you may join clubs with people who have similar interests to you. Sharing ideas and talking with friends is something you really enjoy; also it helps you make decisions. You are extremely social and enjoy being in the company of good friends, having a good time. Being in groups of people is where your personality shines the most. You are able to distinguish people’s unique qualities, and traits that make them stand out. A committed loving relationship is something you do not jump into easily; this is because you believe it can be very limiting and unfulfilling. However, any love relationships you do get into must be unusual in some way in order to keep you interested. You are great at stimulating and motivating groups of people to do a certain task. Also you are willing to stand up and voice the opinions of a group. Crowds make you feel uneasy, nervous, and very self-conscious, especially when it comes to things such as parties. This problem was strongest during your school years, when communicating within a group was probably difficult. Also, you are not spontaneous person, so socializing is only done if there is a particular purpose or reason for doing so. Being alone is where you feel most comfortable; however, the older you get, the more at ease in groups you become. As socializing is sometimes an issue, you may rely on your partner too much for company. This can also result in a small number of friends, but the friends you do have are very close, probably for life. Developing strong friendships is easy for you, and seems to benefit you in many ways. You attract many friends because of your easy going nature. People feel comfortable around you. The friends you attract seem to have a similar personality to you; some friends may be rather unusual too. Being a true friend, you will go out of your way to help most people. You will happily be friends with pretty much anyone; this can be tough, as you might be drawn into the wrong crowd, such as drug users or criminals. Although you are kind-hearted, you make sure no one takes advantage of it. You dream big dreams and your hunches are often correct. But be sure your dreams are based on realistic and attainable goals. You are a person who has no respect for tradition, and tends to have unusual friends. Friends can be made easily, but you tend to keep your distance. This means you only have a few close relationships. People can often be confused by you, especially when you act unpredictably within groups. Throughout your life, there are sudden changes to your friendships and goals. People have a strong influence on you, sometimes even life changing. You attract strong and powerful friends. You may have a deep involvement in groups, associations, clubs, or organizations of any kind. Did you enjoy these birth chart astrology 11th house interpretations?